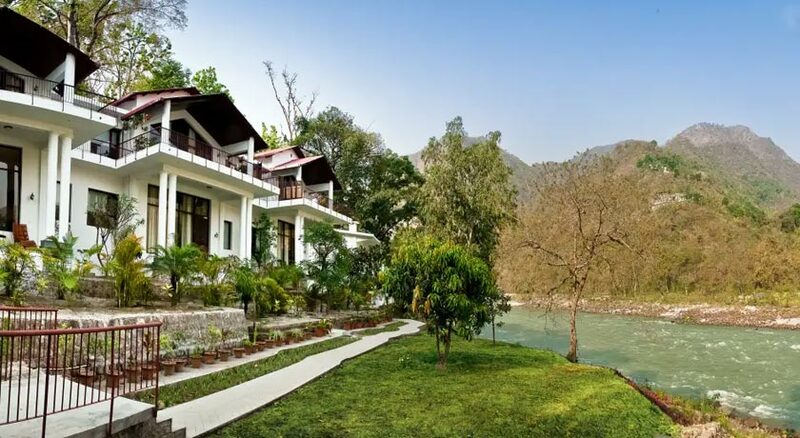 Looking for a quick weekend getaway or planning a long vacation trip to Rishikesh, The Glasshouse on the Ganges will not disappoint you. The hotel is part of Neemrana group of hotels and therefore is sure to offer best of hospitality and stay experience. 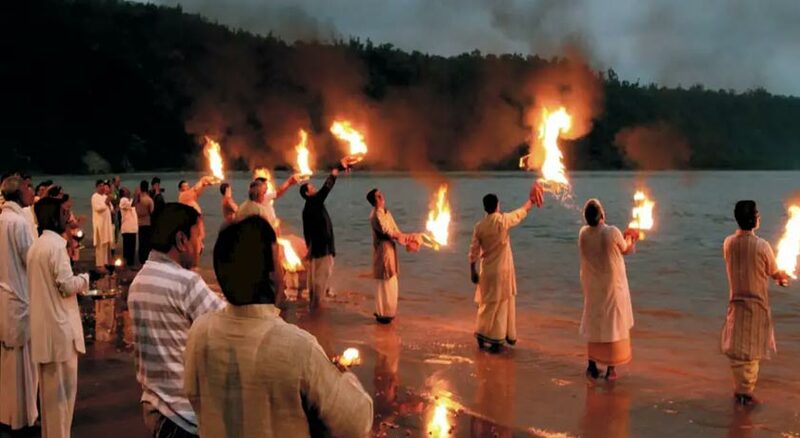 The Hotel is located 23 Kms ahead of Rishikesh in a natural setting and offers unrivalled view of the surrounding beauty and pleasantly surprises the guest. On accommodation front, the Glasshouse of the Ganges offers four options of Riverside tents, Standard Rooms, Grand Rooms and Deluxe Suites. All of these options are furnished with premium materials and equipped with best amenities and facilities to offer unmatched stay experience to guests. To cater to the culinary requirements of the guests, The Glasshouse on the Ganges has an on site multi cuisine diner, which serves an array of local, regional, Indian and international delicacies. All the food prepared here is done under strict hygiene and clean conditions using organic ingredients and rare spices, which bring out the unique taste of the dishes. Apart from this, the hotel also offers several other facilities and services such as a well equipped conference hall, massage center, on site free parking facility, library, Taxi Services, Laundry, Railway Station Transfer, Airport Transfer, Guide Service, Sightseeing, and Bonfire. 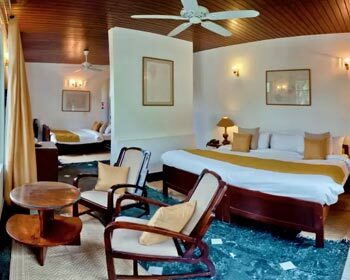 In all, The Glasshouse by the Ganges is a very well managed and renowned property that is ideal for both business as well as leisure guests. Tired of staying in typical hotel setup rooms and accommodation options? 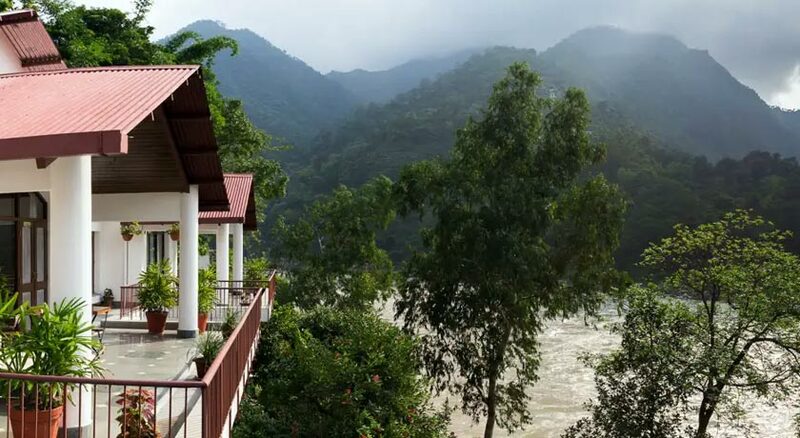 Looking for something more different and fun; then the Riverside Tents offered by the Glasshouse by the Ganges hotel in Rishikesh will not disappoint you. These tents are offered by the hotel as an alternative accommodation choices, which offers a different kind if stay experience. Located right by the side of the river, these tents help patrons stay close to nature and experience it in the best way possible. Although set in rought setting, the Riverside tents are equipped with all the necessary amenities and facilities to make sure that patrons stay pampered and satisfied during their stay here. The Tents are also provided with ample furniture and comfortable beds for the guests. 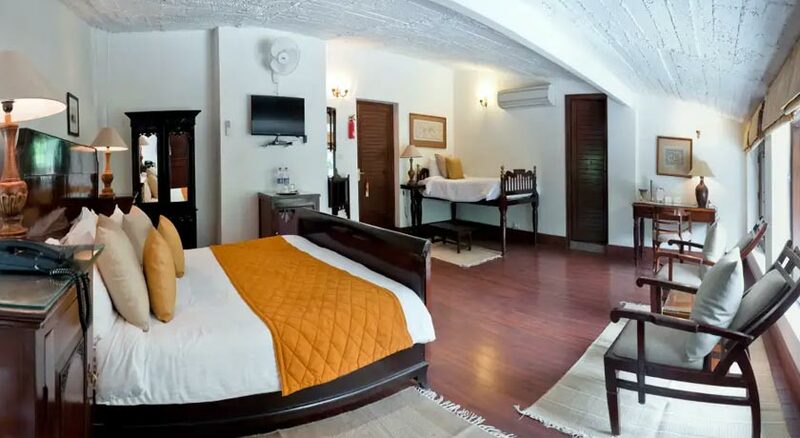 Looking for an affordable accommodation option for your weekend getaway to Rishikesh, then the Standard Rooms offered by the Glasshouse by the Ganges will surely meet all your requirements. The Rooms are designed by experts keeping in mind diverse requirements of modern day travelers. These standard rooms have ample space in bedroom to help patrons carry out their daily duties with ease and efficiency. Surrounded by natural scenery and beauty; the Standard Rooms offer unique stay experience to guests. The rooms are also furnished with premium furnishing materials and equipped with necessary furniture. Apart from this, the rooms also boast of all modern day amenities and facilities that are sure to keep patrons in comfort. Surrounded by scenic natural beauty all around, the Grand Rooms are one of the finest accommodation options you will find in Rishikesh. The Grand Rooms are designed to please hotel’s high profile guests and VIP travelers, who have different taste and requirements. 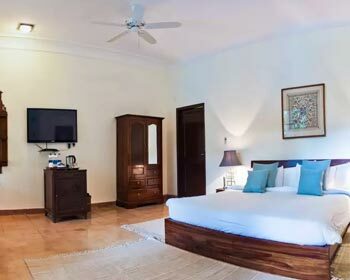 The rooms boast of ample living space, bedding area and a lavish – spacious bathroom; which ensure that guests do all their work with easy and efficiently. The room are furnished with premium materials and have finest fit and finish that gives it very grand feel and look. 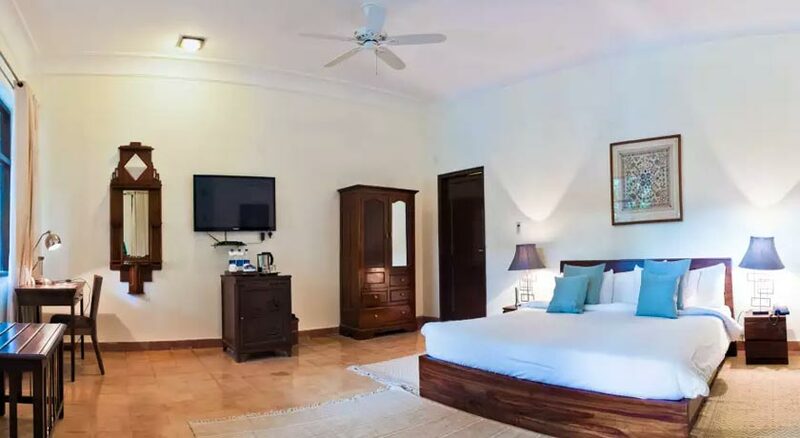 The rooms are also equipped with best of modern day amenities and facilities such as television with satellite connectivity and subscription to premium channels, intercom facility, hot and cold running water availability, fruit baskets and many more. 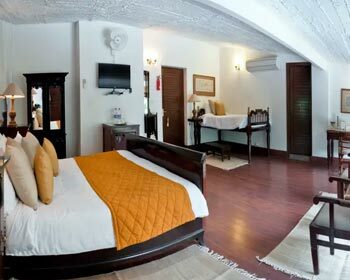 The rich setting and pleasant décor of the Grand Rooms make them stand out and apart from others available in Rishikesh. 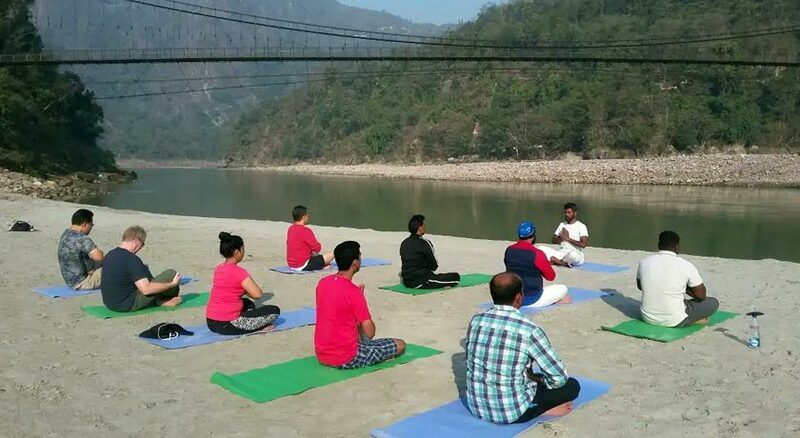 Traveling to Rishikesh with your family or group of friend for a short vacation trip, then you might need a spacious accommodation option that caters to all the needs of the entire group. 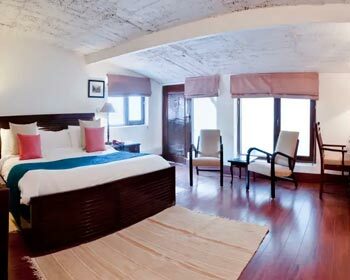 The Glasshouse by the Ganges hotel has exactly what you need – the Deluxe Suites. These suites are designed by group travelers, who need ample space and amenities. Designed by experts keeping in mind diverse requirements of the guests, these suites have premium furnishing and fine fit and finish that gives it very royal look and charm. The Suites have a spacious living room, bedroom and lavish bathroom to keep things organized. Deluxe Suites are surrounded by natural beauty and therefore the décor also has several hues from natural setting. On amenities front the suite comes with television with satellite connection and subscription to premium channels, intercom facility, hot and cold running water and many more. If you are a foodie, who likes to explore and enjoy different culinary and gastronomical delights, then the Multi-cuisine restaurant located at the Glasshouse by the Ganges will surely appeal to you. The restaurant is one of the finest in the area and serves an array of delicacies from local, north Indian and international favorites. The food is prepared by experienced chefs using organic ingredients and rare spices, which bring out the unique flavor of the dishes. Moreover, the restaurant’s general hygiene and cleanliness standards are impressive and has earned many clients for the hotel. The warm hospitality and client centric approach has also been appreciated by both local as well as foreign guests visiting Rishikesh.